Douglas B. Moss, D.P.M. grew up in Southfield, Michigan and attended Michigan State University with a dual major in biology and physical science. He attended medical school at the University of Osteopathic Medicine and Health Sciences, College of Podiatric Medicine and Surgery in Des Moines, Iowa, graduating in 1987 with a doctorate in Podiatric Medicine (D.P.M.). Dr. Moss was the co-director of the Wound Healing Institute, a dermal ulcer treatment center in Denver, Colorado doing research into chronic, non-healing wounds. Prior to moving to Florida in 2007, he had a private practice in Omaha, Nebraska for sixteen years, performing general and surgical podiatry. He served on the Nebraska State Board of Podiatry for six years. 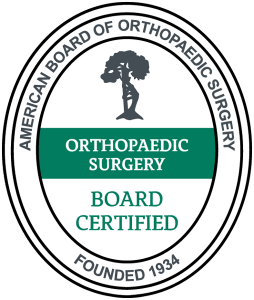 Dr. Moss is Board Certified by the American Board of Podiatric Surgery, the American Board of Forensic Medicine, and is a Fellow of the American College of Foot and Ankle Surgeons, and of the American Board of Forensic Examiners. Dr. Moss is married to Gina, a registered dietician, and has two children, Lauren and Jacob.